Azure backup now has the ability to backup server workloads like Exchange, SharePoint and SQL to both a local storage location as well as to Azure storage.This means that it can not only protect files and folders but all of the data on premises just as quickly and easily as it could for files and folder, however now there is also the added ability to have a local copy of the backup as well. This now makes Azure backup a really compelling option for any business and provides the flexibility many demand. 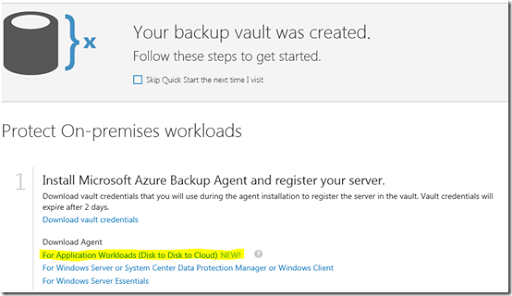 To get started have a look at the above links or login to your Azure backup vault and download the Application Workload client to get started.